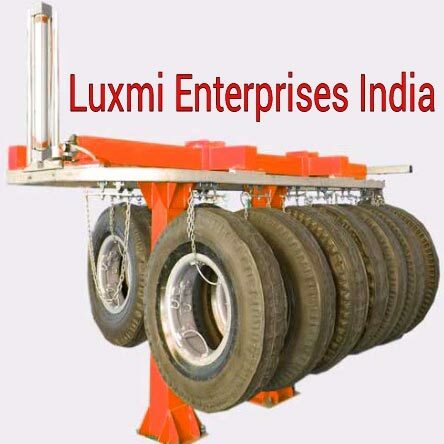 Luxmi Enterprises India is a trusted Manufacturer & Supplier of Monorail System. We make available Robust Monorail SystemÂ across the nationwide markets. Our capacity of handling tyres is upto 14 tyres at a time, for easy, smooth & quick loading in the chamber without any effort. The Monorail is provided with pneumatically operated movable lift for lifting rimmed tyres from ground level to inside the chamber. Capable to lift 14 tyres at a time for easy and quick loading in the chamber. Provided with pneumatically operated movable with lift for lifting rimmed tyres. Designed with two strong and heavy Pillars to with stand with extra load. Provided with bearing rollers for movement of tyre from monorail to inside the chamber.